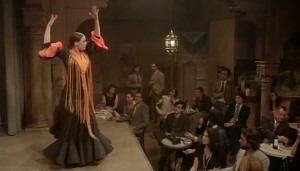 Gotta dance, gotta sing in Luis Buñuel's That Obscure Object of Desire. French filmmaker’s Luis Buñuel’s (Belle de Jour) final feature, the 1977 romantic comedy-drama That Obscure Object of Desire explodes with eroticism, bringing the director’s lifelong preoccupation with the darker side of desire full circle. Buñuel regular Fernando Rey plays Matthieu, an urbane widower, tortured by his lust for the elusive Conchita. 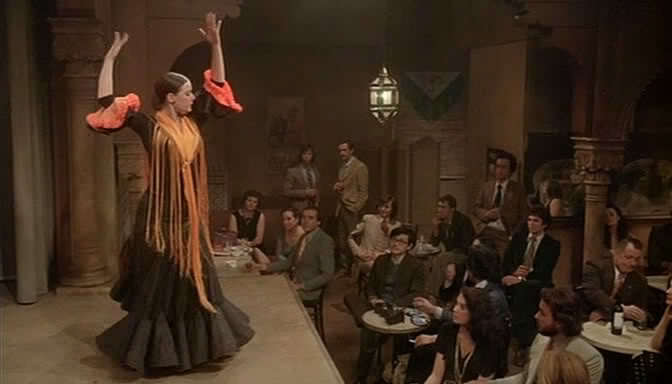 With subversive flare, Buñuel uses two different actresses in the lead role – Carole Bouquet, a sophisticated French beauty and Angela Molina, a Spanish coquette. Drawn from Pierre Louys ‘ 1898 novel La Femme et le Pantin, the movie offers a dizzying game of sexual politics punctuated by a terror that harkens back to Buñuel’s surrealistic beginnings. Issued on DVD by Criterion back in 2001 but out-of-print for years (though it’s still available through used disc brokers), That Obscure Object of Desire’s high-definition release by Lionsgate represents the film’s U.S. Blu-ray debut.